Why do we raises prices for students before they can even graduate? A few years ago I did a simple analysis of season pass prices across 15 random resorts. While a few surprises came to the surface, one in particular stood out. Put another way, starting at the ripe age of 21, we are asking skiers to start paying almost double for their season pass. This age, if you were wondering, is about a year and a half before the average american graduates from college (only 1/3 do so in 4 years). And if they do graduate, they’ll have roughly $30,000 in debt. The gap between income and price for this age group is easy to spot. 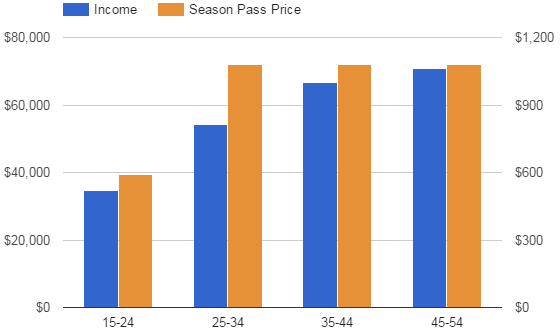 Because while income increases 56% between the 15-24 and 25-34 groups, our season passes prices jump 83%. 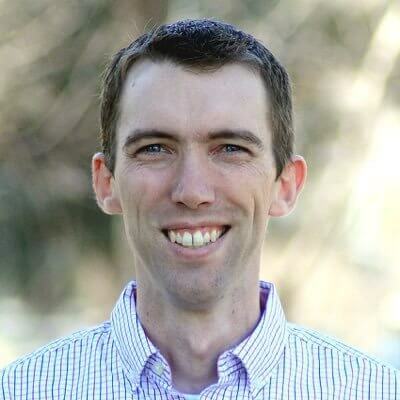 Even more, this mismatch happens as deductibles are maxed out every time a baby arrives (around age 26), pennies are pinched to save up for that downpayment (to buy a home around age 33), debt must now be paid down (many student loans have no grace period), and time (including vacation time) is a luxury. In essence we’re sending a message that, if we put it into a cheesy paragraph, sounds really bizarre. Pardon the sarcasm, but you get the idea: our pricing strategy makes a season pass many times more expensive for a 22 year old than it does for a 52 year old at a time when extra expenses are the last thing a 22 year old needs. Let me put it this way, if we want to have a nice pool of skiing families that will take week-long ski vacations when they’re 40 or 50, we’ve gotta start throwing them a bone when they’re 20 and 30. Or, as a friend of mine put it when we were taking turns recently (a friend who has a toddler, mortgage, and teacher’s salary). I don’t know what that bone is. Maybe it’s a cheaper half day (or 1/4 day) rate so parents who spend more time chasing toddlers than working out can ski for 2-3 hours and not pay 90% of the day rate, maybe it’s three days each year where anyone in their 20s can ski for free, maybe it’s just something – anything – to keep them on snow for a few days a year so the flame doesn’t die. Either way, financially treating a 21.8 year old like a 54.3 year old isn’t going to cut it. Food for thought going into the season.